Hello everybody! 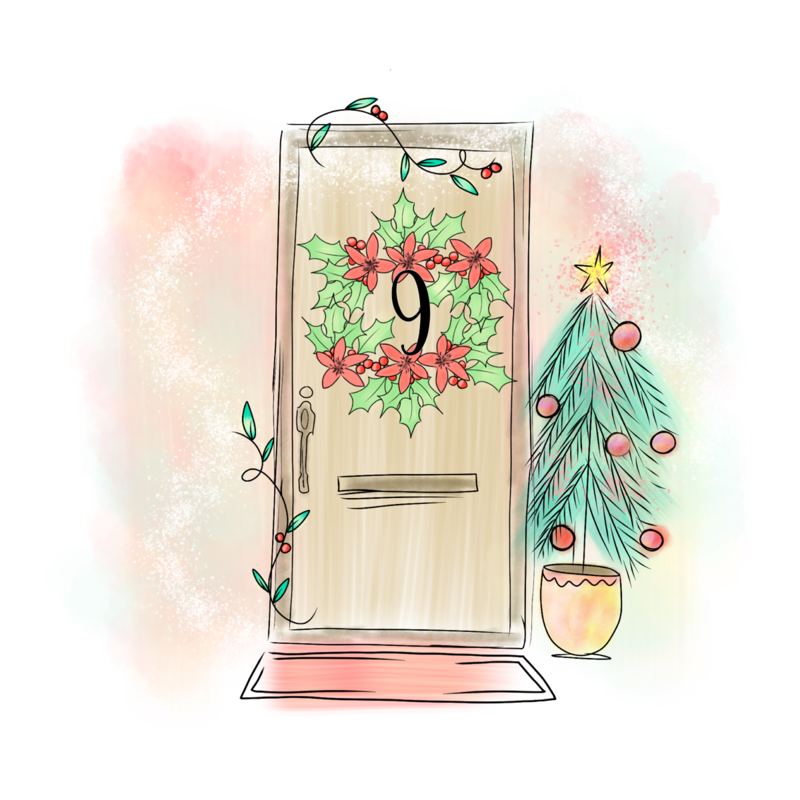 And welcome to Day 9 of Advent Calendar Extravaganza!! Let’s get on with Day 9, shall we?! Today’s sponsor is Newton’s Nook Designs! One of my old favourites, I fell in love with them from their first release of their awesome stamps, and then loved them so much that I ended up on their DT for a while too! 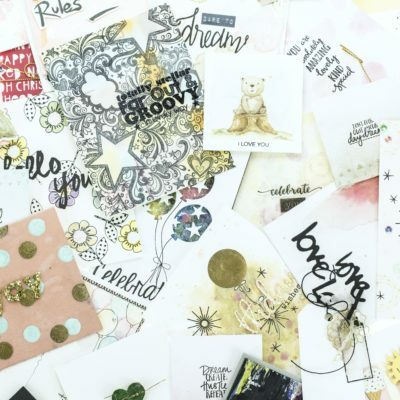 Newton’s Nook have some truly adorable stamps and dies – but it’s the cat-themed images that always capture me! Newton’s Nook are headed up by the my friend Jennifer, who is super sweet, and to top it off she and her husband are geeks like me too! I’m so thrilled to have them sponsor the event again this year! Newton’s Nook are generously sponsoring a $25 gift certificate to their store! With an amazing array of products you’re really going to be spoilt for choice spending it! 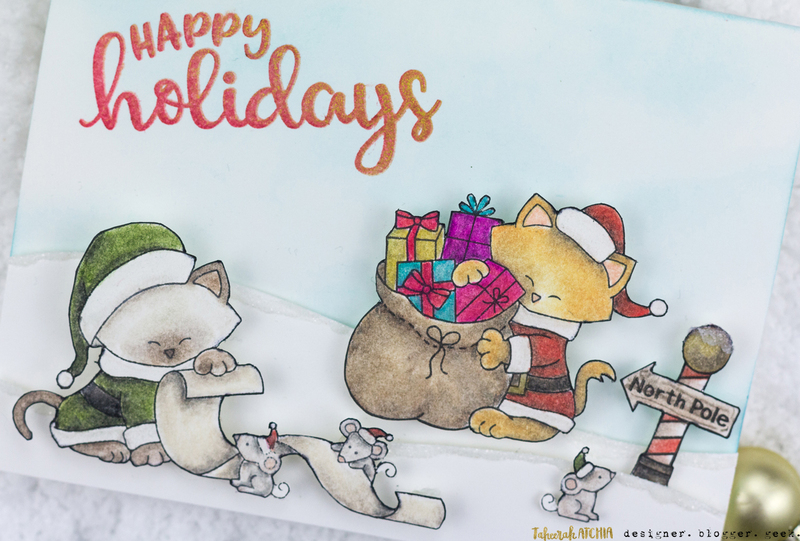 I just love the Santa and Elf kitties on this card! So fun! I stamped all my images with Versafine ink and then coloured them with Prismacolor pencils. I fussy cut them all out, lined the edges with a black marker, then set them aside to use on my card. You can’t make it out from the photos but the presents and parts of the images have touches of shimmer too! I blended some Catherine Pooler It’s A Boy ink over my card base, then die cut a couple of hills and coated the edges with glitter. I used the same glitter on top of the North Pole as well. I adhered everything in place with Pinflair Glue Gel for some custom dimension. I love the sentiment that’s from the Sentiments Of The Season set too – I stamped that with red ink and with gold ink for a fun two-tone effect! It’s not a party without a prize – and with prizes every day there are several chances to win! Today’s prize is generously supplied by Newton’s Nook Designs so you’ll definitely want to get your hands on it! Simply leave a comment on this post to enter! Don’t forget to grab the other surprise destinations from behind the door, and head over to them to leave comments there as well to improve your odds even more! You have until 7am EST on Sunday 31st December to leave all your comments! Super cute scene! I love the mice and your coloring is amazing!! Love the kitties working with the mice! Adorable card today, Taheerah! I love those Christmas Kitties! This is an adorable Christmas scene. Still having fun anticipating each day’s special Advent stops! Loving the scene of this card. Who can resist those cute kittens (and mice too)? Adorable cards! Love how you colored the kitties! So cute. 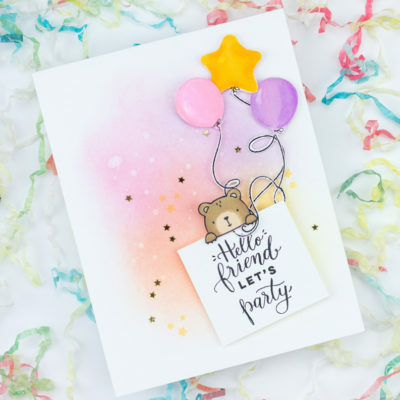 I love the coloring on your sweet card! Fun scene with the kittens and mice. 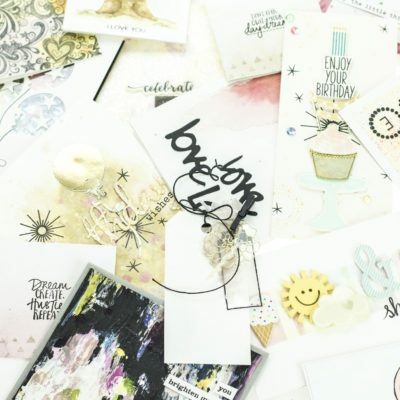 Cute scene–love how you did the sentiment with 2 inks! Kitties are my favorite and this card is so adorable. Love the little mice helpers, too! Darling card! I love your pretty coloring on this sweet scene! Newton is a favorite! Your soft and billowy sky and snowy hills are the perfect background for your beautifully colored scene! The mice ? ? ? and kitties ??? are super adorable! TFS! Very cute!! Love the cats-so cute! How fun with these cute Kittens and mice! So much depth and dimension in your coloring, love these pretty scene! Adorable card, I love the kittens. Cute little scene! Love the Santa cats. What an adorable card, I LOVE those kitty’s so cute! Love your coloring, and there you go fussy cutting again, LOL. You are so sweet. Isn’t Newton the cutest kitty? I love NND and the two-tone effect of your sentiment! 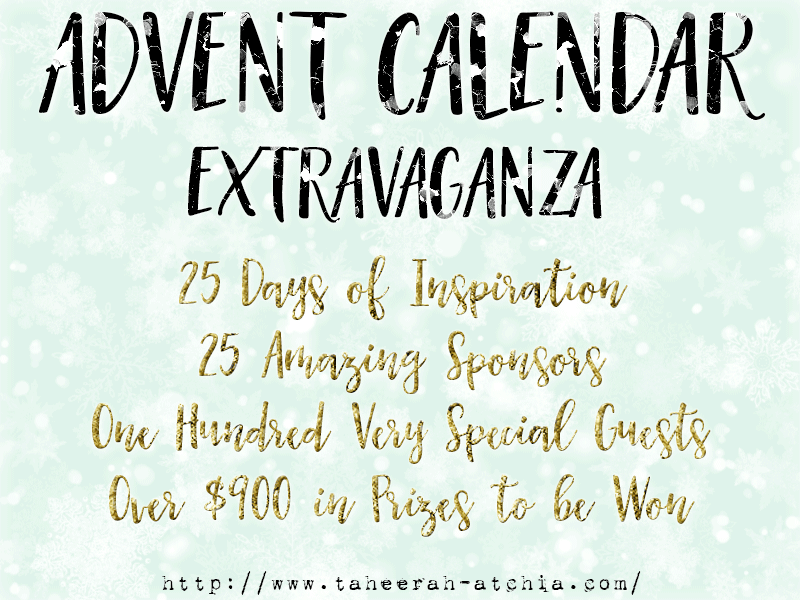 Thank you for the beautiful holiday inspiration and putting this hop together for everyone. Cute card—your pencil coloring is fantastic. I am so glad I found you again! Somehow, I lost track, but I have so enjoyed your posts of Christmas past and was excited to find you. Thanks for doing this. It is a sanity moment in my crazy holiday . THANK YOU. 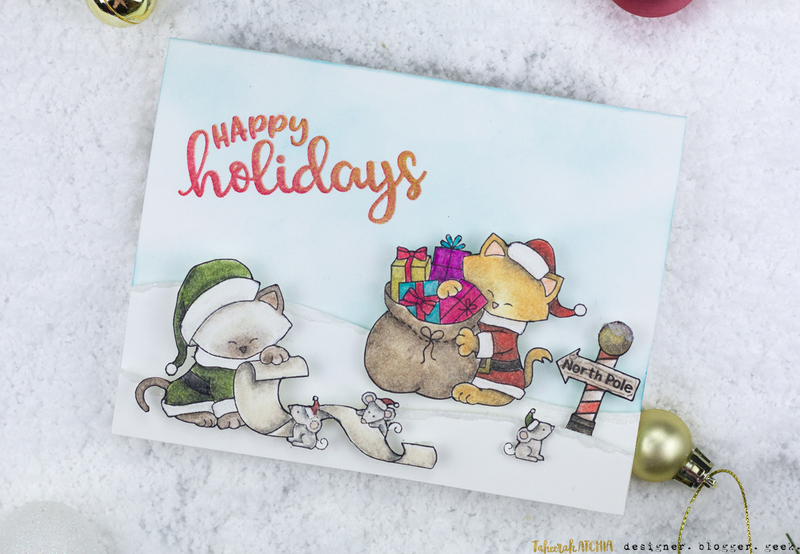 What a cute and fun card – love the coloring on your kitties, TFS! 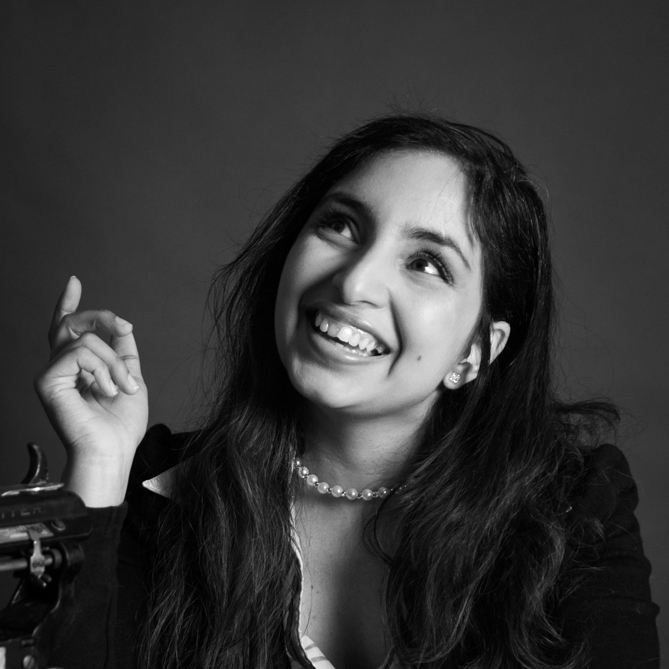 Also wanted to say having a ball on this blog hop, so glad you are hosting it again Taheerah! 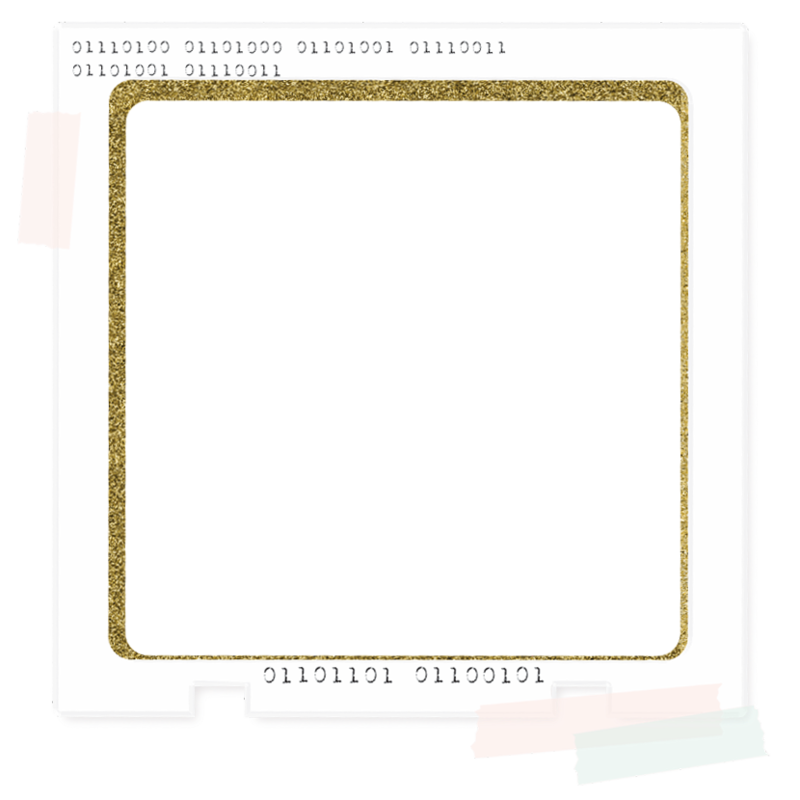 Your card is super adorable. I just love newton’s nook stamps. Love Newton’s Nook and this new set is so cute. Thanks for the inspiration. Elf kitties and little mice. Such a cute card. Thank you for sharing. Such a cute card!! 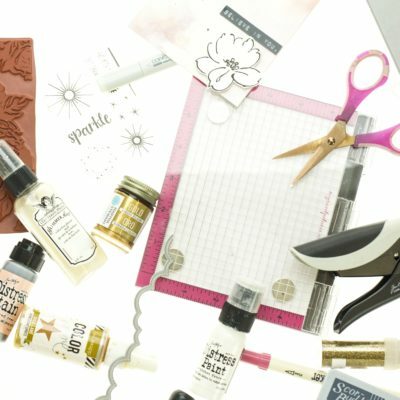 Because of your ACE, I learn of or am reminded of all the different stamp companies and their great products! Your kitties are adorable, dressed in their Santa and elf outfits, helping arrange presents to deliver for all the good little girls and boys! Sweet scene in every way! You are totally rocking the pencil colouring….fabulous blending! Another day of delights from you! 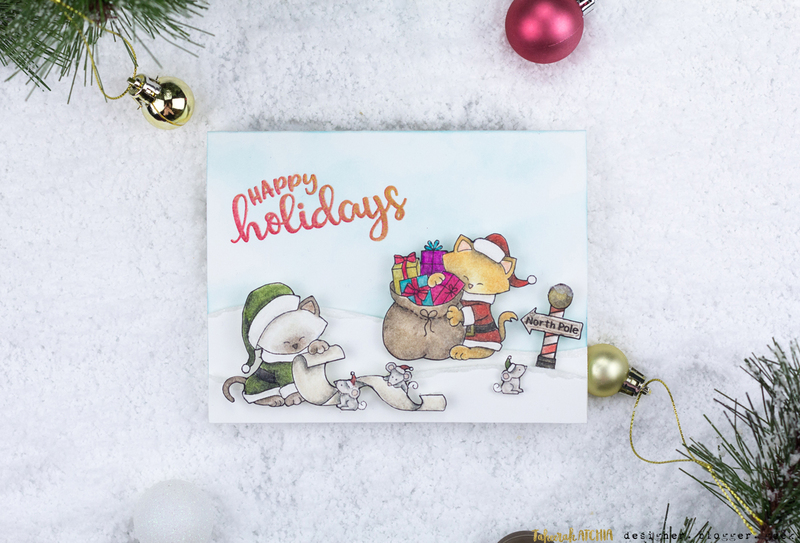 Happy card; cute christmas-scene; great colouring ! The kittens are fun, but those little mice are so adorable !! Thank you for the extra inpiration every day !! 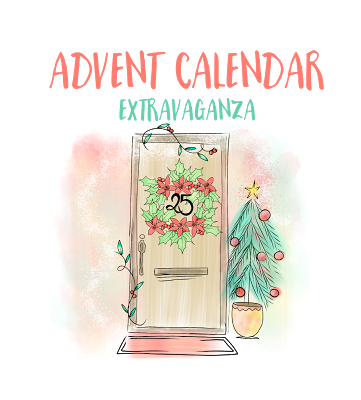 I am loving this advent calendar series of paper crafting goodness, thank you so much for sharing your amazing talents and hosting this awesome event. I love your Christmas kitties card and your pencil coloring is amazing! newton’s kittens are certainly busy – darling card, beautifully colored! What a great card…lovely little scene you have made. I just adore all the little Newtons. Cheers. I love this card. It is one of my favorites. Would be great for cat lovers and I know quite a few of those. 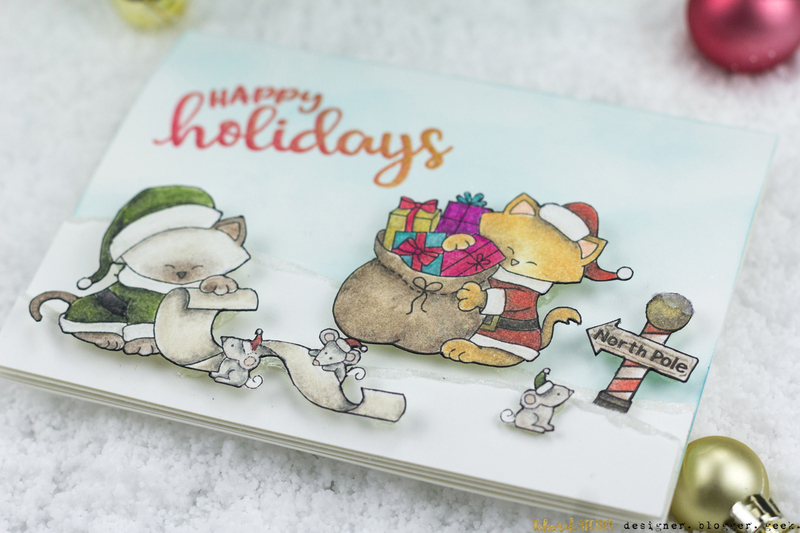 What a cute card love the kittens and having fun with the advent calendar . Newton’s nook has the most adorable kitties! (and puppies!) Your coloring with the prismacolors is so lovely. I’m inspired to bust out mine and give my copics a rest! Thank you for all the fun you give to me and others through this event! This is adorable! Those little mice! What an incredible amount of detail in this charming card~who can resist the Siamese Santa? Too cute! Thank you for all the hard work to put on the year’s biggest and best event….what big fun! Critter cards are adorable! I love the way you created the Siamese kitten ?! Adorable. Awww, thanks for the chance to win some cute kitty stamps! Very cute images of Newton at Christmas! I like the cats and mice on this one. What a cute scene you made! How fun! I love the green santa paws! 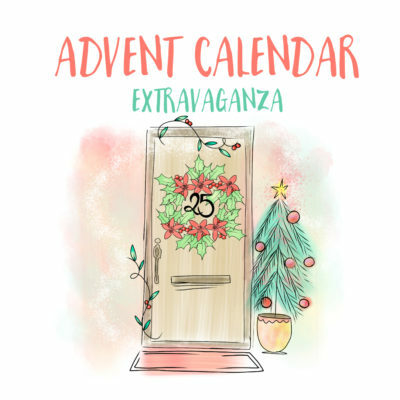 I am having a wonderful time enjoying your advent calendar extravaganza! Thank you for inspiring me to create.